LED Poi Ball | The Magical Maori Dance Art of Poi! The Magical Maori Dance Art of Poi! One Ball, Six awesome colour modes! Awesome for fitness or parties! Make amazing photos with your smartphone! Introducing the magical dance art of Poi! CoolThings Australia LED Poi Balls are a great way to have fun, day or night, individually or in group, take yours to a park, dance club, beach, or use them at home by putting on some good music and coming up with your own cool Poi dance style. 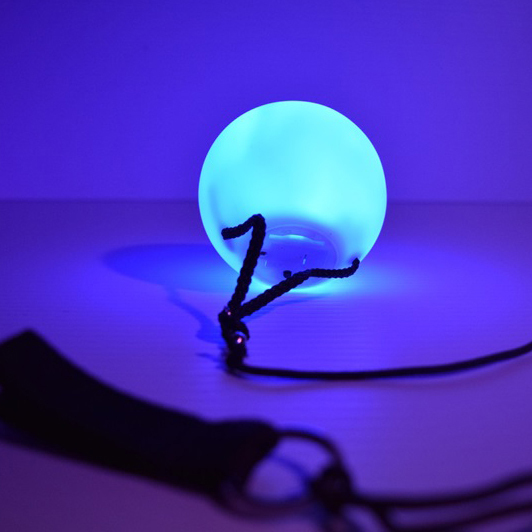 This product is one Poi Ball only, to upsize your awesomeness to two Poi Balls please see our LED Poi Ball Twin Pack. LED Poi Ball requires 3 x LR44/AG13 batteries which you get included, this means as soon as your Poi Ball arrives you'll be all set to start. Also available in a LED Poi Ball Twin Pack.